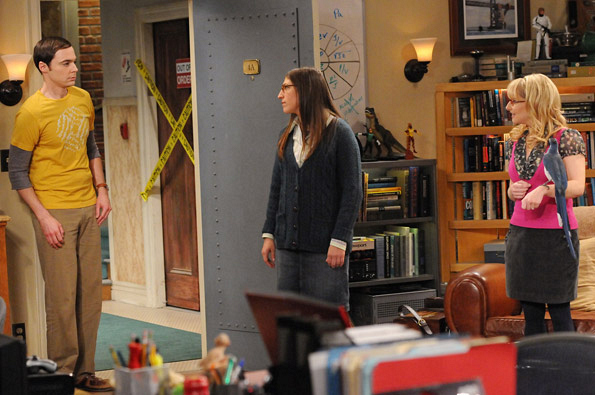 Amy (Mayim Bialik, center) and Bernadette (Melissa Rauch, right) try to help Sheldon (Jim Parsons, left) overcome his fear of birds, on THE BIG BANG THEORY. Photo: Michael Yarish/Warner Bros. © 2011 Warner Bros. Television. All Rights Reserved.